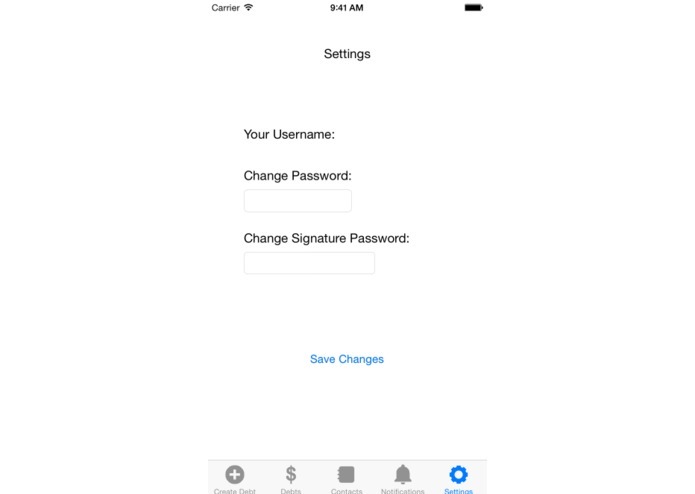 This is the settings page where you can change your account password or your signature code. This page lists all your current debts with each contact. This is the contacts page. 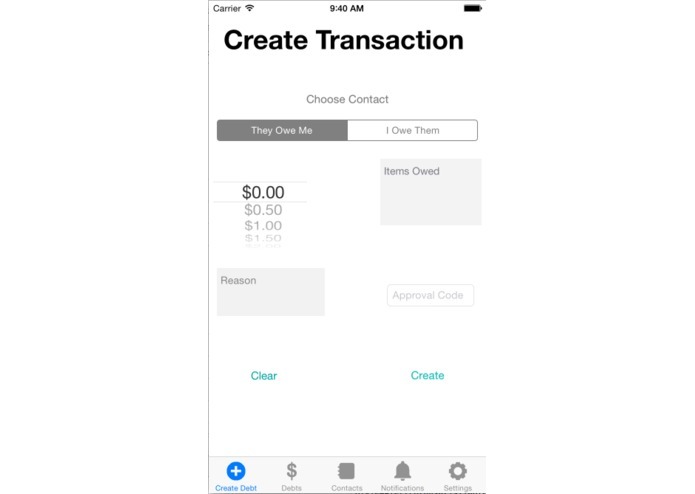 This is the create transaction page where you can look through your contacts and enter a debt they owe you or a debt you owe them. 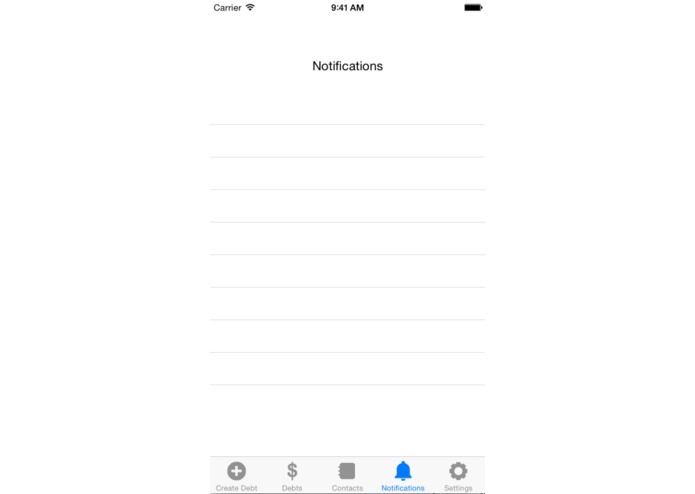 This is the notifications page where you can be notified when you receive a new transaction and can accept or deny a transaction. When people lend money for things from movie tickets to food to transportation, their friends often forget to pay them back. The team agreed that this was a rather annoying and prevalent issue among their acquaintances. We wanted to create something that would allow users to manage their debts with others conveniently and electronically. Fordebt Me Not has users create a "debt" with another user, noting the amount (and/or item) and reason. The other user must enter a code (a signature of sorts) to confirm the debt. 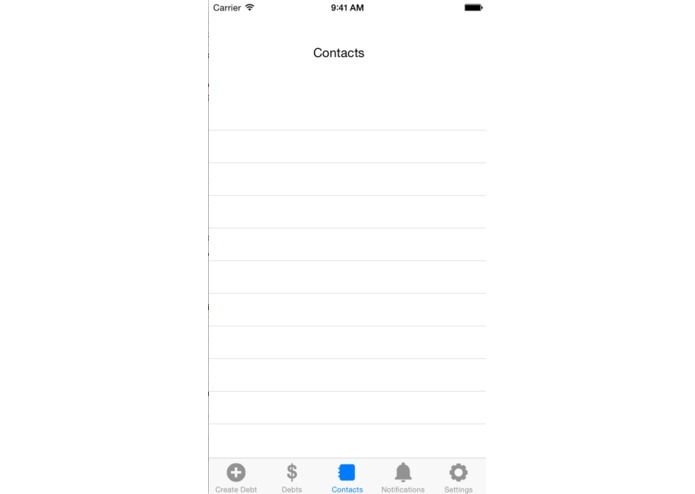 Next, users can view a list of their 'relationships' with their contacts: positive or negative net amounts owed. Within each contact's profile, users can create a transaction to resolve some of the debt. The other user will receive a notification to approve the transaction. 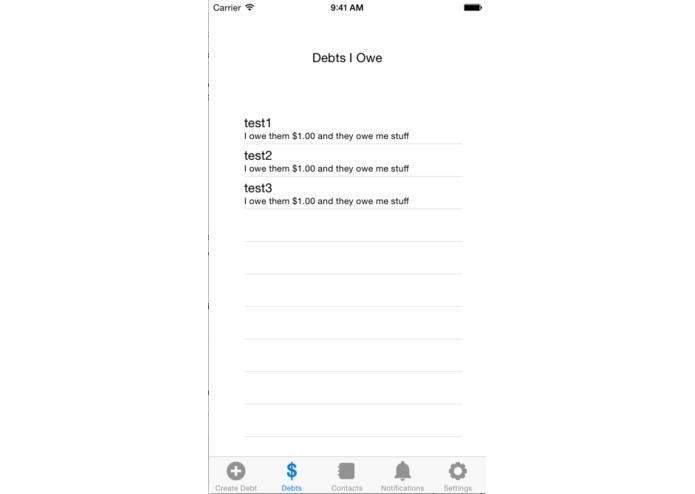 Lastly, users can nudge others to remind them of debts. 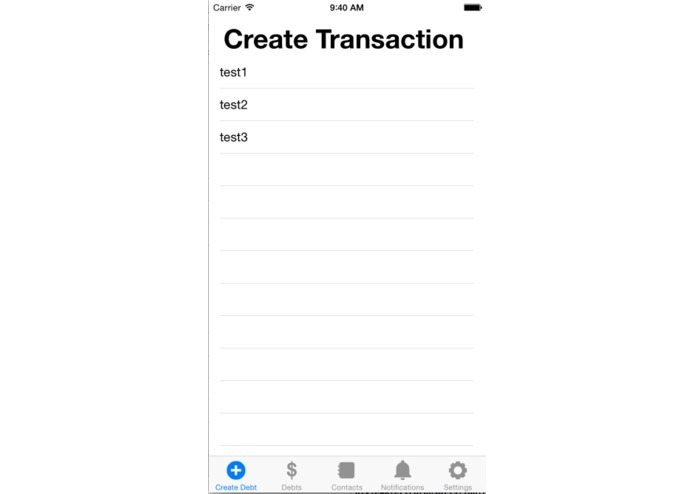 We built this app using Xcode and Swift. We storyboarded the different windows of our app and then programmed the objects on our storyboard. We were all relatively new to iOS programming and came across a number of challenges along the way. We had trouble adding constraints to the objects on our storyboard. We also struggled with programming the keyboard on the app. There were some other programming issues we came across, but we used many online resources to find solutions to these problems. We learned that making an app requires a lot more careful planning, thought, and evaluation of what is actually accomplishable than we previously thought. Some of us also had our first experience coding in Objective C and we learned a lot of syntax. As we were not able to complete all of the features of the app, our next step would be to code and finalize our original plans. In terms of new ideas, we might have our transactions feature deal with exchanging actual money between users electronically.